Prime rib roast, also referred to as "standing rib roast," is a tender cut of beef from the rib section. Prime rib roast is delicious and tender because of a high amount of fat marbling and should be enjoyed in moderation if you are trying to lose weight or reduce your fat intake. A 3-ounce serving of prime rib roast contains 340 calories and a whopping 29 grams of fat. It will also provide 19 grams of protein and 1.8 grams of iron, or 10 percent of the daily value. 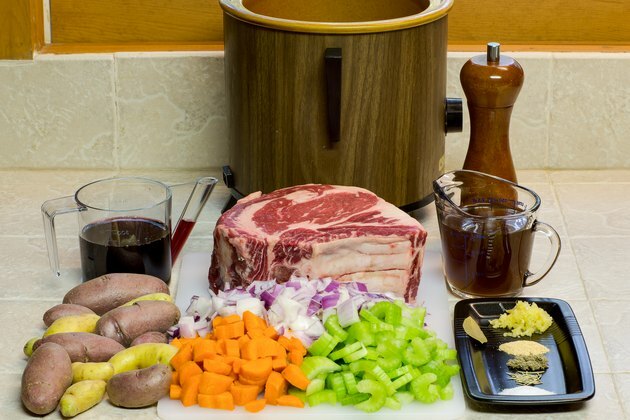 You can use a slow cooker, like a Crock-Pot, to cook a prime rib roast and vegetables to tender, juicy perfection with little fuss and no hot oven. 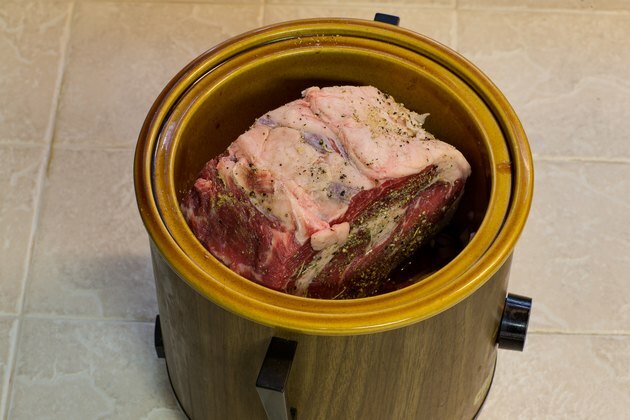 Place red wine, beef stock and a bay leaf into a slow cooker. Stir to combine. 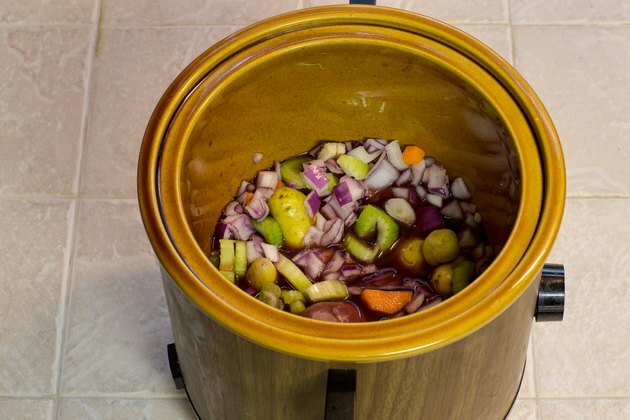 Arrange garlic, celery, onion, carrots and fingerling potatoes in the broth mixture on the bottom of the slow cooker in an even layer. 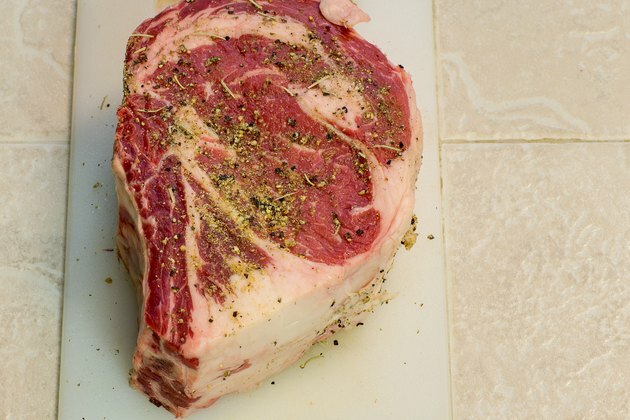 Sprinkle rosemary, sage, salt, pepper and garlic powder all over a prime rib roast. Pat the spices into the meat. 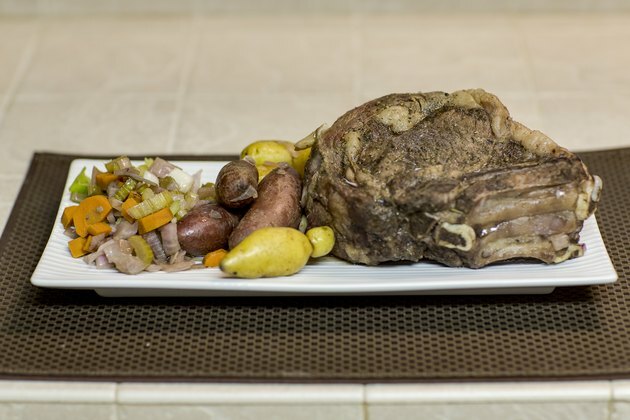 Place the standing rib roast with the bone side down and the fat side up on top of the vegetables. 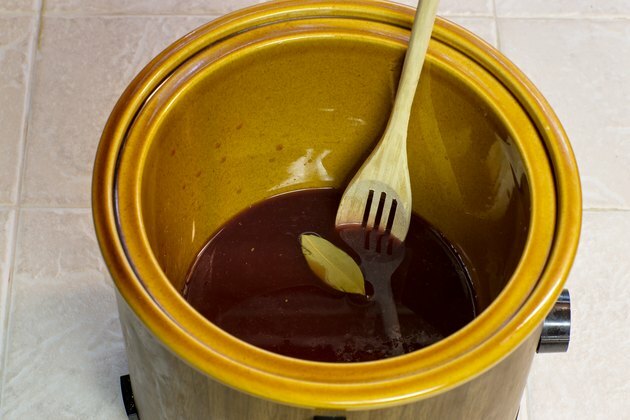 Turn the slow cooker on low heat and cover with the lid. Cook for five hours, or until the roast's internal temperature reaches 135 degrees, for medium-rare. 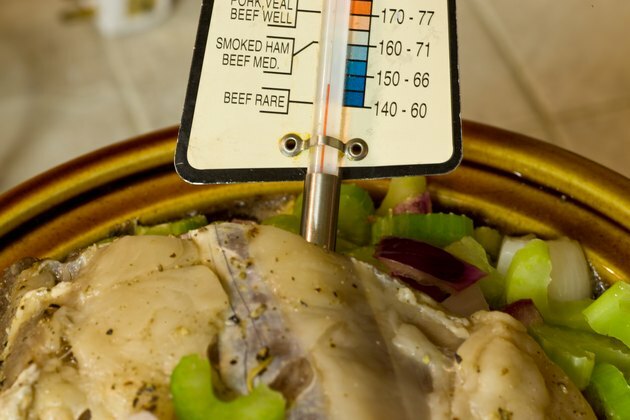 Cook an additional hour, or until the roast's internal temperature reaches 145 degrees, for medium. Remove the roast and place on a serving platter. Allow the meat to rest for 10 minutes before serving. Arrange the vegetables on the serving platter around the roast. Serve the cooking liquid in a gravy boat, if desired. Cooking until well done or using a high heat setting is not recommended, as the meat might dry out. Serve with horseradish and a green salad for a complete meal.